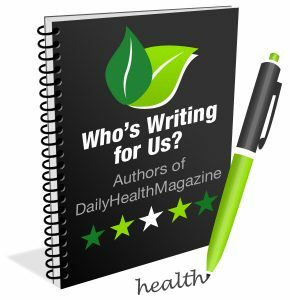 Articles on DailyHealthMagazine.com are written by independent writers, who may be or may be not compensated by DailyHealthMagazine.com for their work. If you wish to become a contributor please contact our Marketing Team. If you want to write for us you should contact us before writing the article and tell us the subject. Once we agree, send us your article for approval at this email address. We reserve the right to reject an article if we consider it of low quality or not following our articles guidelines. Articles should be on health topics: diets, nutrition, lose weight, food, fitness, health problems or any other topic available on DailyHealthMagazine.com. Articles should be on different subjects than the articles already existing on the site. Articles should count 1200+ words. Articles should have correct spelling and no grammar errors. Articles should be 100% original and not posted anywhere else. Articles should not promote a specific product or service. The articles should not contain any images. All submitted articles need our approval before going online. Articles should not be offensive to 3rd parties, use trademarks or public figure’s names. By submitting an article you are giving us full copyright of the content submitted. We reserve the right to use it or remove it from the site anytime.